Jazz & Bebop: What is art... to me? What is art... to me? 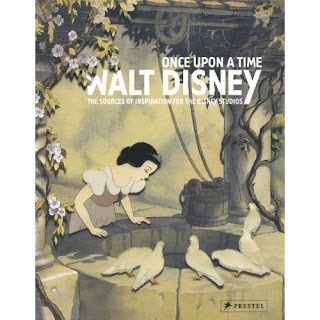 I found myself pondering this question after watching Sleeping Beauty and subsequently reading a book called: Once Upon a Time: The true inspiration for Disney Animators. A book, rich with lavishly painted pictures and great comparisons between the arts that inspired the more simplified cartoons that followed. I began asking myself, what is art, really? And how does it differ to animation or drawings? Do I like art, just as a love animation? If not, why? These questions made me begin to write this little piece. Now, how does this relate to games? I am sorry to say, not much, but it is there, in the back of my mind as well. We often talk about the importance of games, being referred to as “pieces of art”, but is that really so important, and if not, how so? Well, to me, art is something distant, hard to reach and requires a great deal of imagination and thought from its viewer. Art has always been hard for me to “get”. Why is that? Well, it may be that, to me, it is hard to enjoy and feel something, from a piece of work that has no “character” or, you could even argue, soul. Art, in its most simple form, is without character, it is a picture that requires you to imagine on your own, you have to create the world, just as a reader has to make meaning out of simple letters. A piece of art does not live on its own merits; it requires you to think and to dream. This is why art, just as books, can fit any taste, but not any age. Children have a hard time appreciating art, as opposed to animation. Adults seems to be drawn more to art the older they get, and animation becomes (in most cases) something reserved for the childhood or the coming children of your own family. This became most apparent to me, after reading the first few pages of the mentioned book, from the beginning of this text. It was a drawing from one of the earliest drawings of Mickey Mouse, and to the right, there were an illustration from the inspirations for this Mickey character. To me this was startling, the picture on the right was a piece of art, drawn by a famous German painter, but the illustration said nothing to me, it was a very dull painting. The piece had a mouse on it, playing the violin to four bystanders, four snails actually. But the mouse and its onlookers had no character, it was just a mouse playing a human instrument, and it felt a bit scary. It is a good example of how we can be scared by something that not fit. In the meantime, on the left, you had a mouse, a plane and a pig. Now this would be an even scarier situation if it was drawn realistically and plain, but here we find something else, namely, character. Even the little plane in the drawing had character; you could associate the plane with a wild, untamed animal. Now, where do I go with this? Well, these are the main differences to me between animation and art. It also serves to say that art is not something that games should aspire to. Games should be more like animation. There should be life, created trough the animators mind and hands. Games could aspire to look more like art, if we take the example of Sleeping Beauty. This was a movie, created with one goal in mind, “captivate the art”; this is why Euyvind Earl became the lead animator on the project. Earle was not an animator, but rather a production designer. He did not create animation, he drew the background art for the pictures, he created the worlds in which the animators then would create and place characters into. Now, think back to your childhood, remember Sleeping Beauty and your impressions of it, was it a thrilling ride, is it one of your favorite Disney films? If the answer is no, then I would like to try and explain why you felt that way. In my mind, this is because the pacing, the characters and the “soul” of the picture did not have the main attention from the crew, the art did. This made Sleeping Beauty a marvelous piece of animation that would hold up even today. As an adult I appreciate it for the art, the backgrounds and the color schemes are breathtaking, but the story and the characters are, sadly enough, bystanders. There are fantastic characters in the story, but they take a sidestep to the art. This is only one of Disney`s many films, and we can overlook, I think, this little experiment from Disney and love it for what it is, but I hope you see my point of view here. Games should not be art, this because games should create Aesthetics, forged out from dynamics made from mechanics. N other words, games should not be a passive experience, nor should it be a painting, or a book. In my way of seeing art, this is what would happen to a game if art took the main stage. No, a game should be more like animation; Imaginative, colorful and rich in character. For me, art is fantastic in its own way and unparalleled as a source for inspiration and concepts. But Animation and drawings has something that art can never achieve… true character.